Whether you have a steel roll up gate or some type of swinging or sliding mechanism, with us you’ll get a fast solution any day of the week. Choosing the right driveway gate for your property can be a daunting task. It is especially difficult when trying to decide on the right one for your apartment complex or commercial establishment. Storefronts will usually require a kind of steel roll up gate, while residential properties will usually need something with more curb appeal, or completely different operation method. But you may be reading this for other reasons. You may already have an automatic gate in place that needs some work done. Whatever your reason for calling Gate Repair NYC, can be sure that the technicians you need have all the necessary skills and experience to help. This type of mechanism is amongst the most popular types, as it only moves laterally, and therefore requires less overall space than its counterparts. The track is simply placed across the driveway and the gate can be completely out of sight when it is fully opened, if it is connected to walls or a fence. There could be some alignment or movement issues with this type of system, involving the track and the wheels. Don't worry, though. Gate Repair NYC has technicians that know how to solve all types of malfunctions. 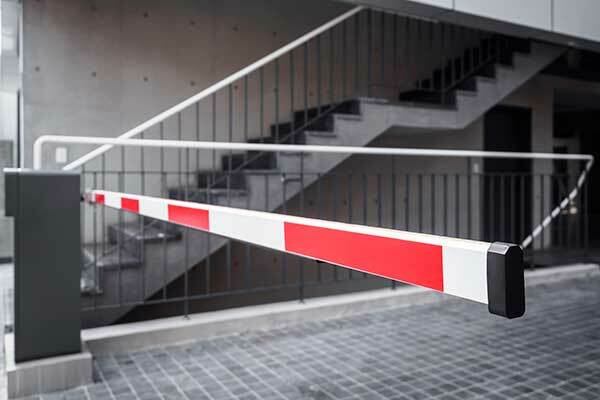 If your business is located far enough from a road that you have a swing gate as opposed to a sliding-type system or a roll up gate, our experts will be able to help you just as well. 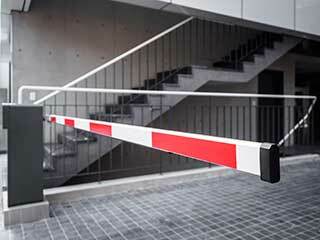 Gate Repair NYC specializes in fixing any type of problem that can affect commercial gate systems. Your intercom system is an important part of your automatic gate and when it's not working it becomes a major inconvenience. It's certainly not a productive contributor to your workday. If your gate intercom system isn't working properly, you'll want trained technicians to check all the connections as well as the internal components and make sure that the problem is quickly resolved. If you're looking to replace your old system with a new wireless intercom that also offers video surveillance, that's another thing Gate Repair NYC can assist you with. Your gate opener sensors have to be aligned properly, and their lenses must also be in pristine condition, to ensure they detect obstacles properly. If these units fail to function when they're supposed to, you could have a real problem on your hand, not to mention, somebody could end up getting seriously hurt. It won't be safe to use your gate until the problem gets fixed, which is exactly why Gate Repair NYC offers same day repair services for automatic gates of all makes and models. You can trust our technicians will waste no time getting to you and making sure your system is safe to use once again. Gate Repair NYC will take care of whatever you need. Our services cover everything from a roll up gate that got stuck to opener and intercom problems. You can always count on getting effective solutions from technicians. Give us a call as soon as you discover a problem and watch as your gate returns to normal before you know it.